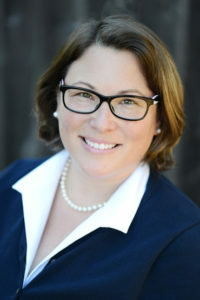 Brigit Kavanagh is a partner in Kavanagh Rhomberg LLP and for over a decade has specialized in the laws of nonprofit organizations and charitable gift planning, advising charities, foundations, and their donors on nonprofit tax, trust, and corporate law. Prior to launching Kavanagh Rhomberg LLP in 2016, Brigit practiced with the San Francisco law firm of Adler & Colvin, handling a range of matters for public charities, private foundations, and charitable donors. Brigit is an adjunct professor at Golden Gate University, where she co-teaches Tax Aspects of Charitable Giving in the LLM in Taxation program. She is also a frequent speaker on topics such as charitable gift planning, endowments, and many aspects of nonprofit and tax-exempt organizations. A selected list of Brigit’s recent speaking engagements is below. Brigit serves on the Boards of Directors of the National Association of Charitable Gift Planners and the Northern California Planned Giving Council. She is also member of the San Francisco Estate Planning Council, the Marin County Estate Planning Council, and the San Francisco Bar Association. She is admitted to practice law in California. Brigit holds a J.D. from Golden Gate University School of Law and B.A. from the University of Virginia in French Language and Literature. Brigit also holds a certificate to teach English as a foreign language to adults, administered by the Royal Society for the Arts and Cambridge University (currently known as the Cambridge CELTA). Contributing and Update author, Continuing Education of the Bar (CEB), treatises on California Estate Planning, Drafting California Irrevocable Trusts, and California Will Drafting. The publications and materials on this website are for general informational purposes only. They are not guaranteed to be up-to-date, and are not a substitute for legal counsel. You should not rely on any legal information provided on this website without seeking the advice of an attorney regarding the facts of your specific situation.